Google Chrome is now the No.1 browser in the Play Store as the most popular web browser in the Android Platform. 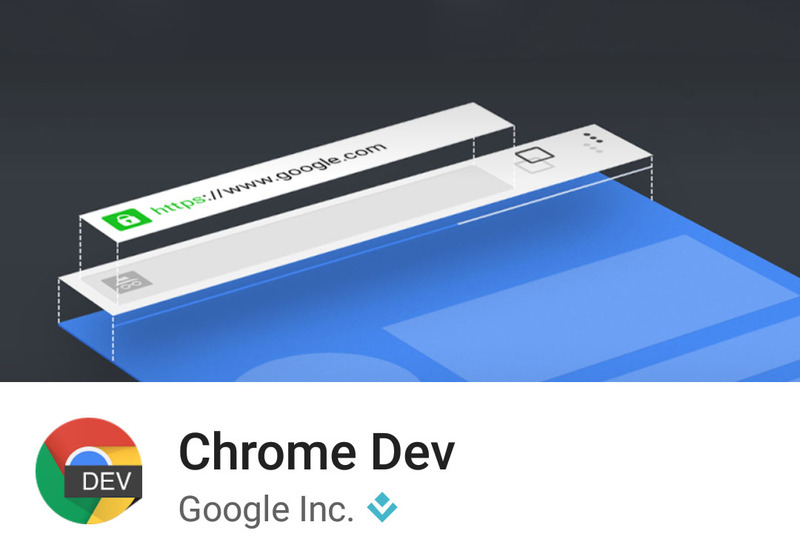 Chrome has just officially reached more than "1 BILLION" installs on the Play Store. 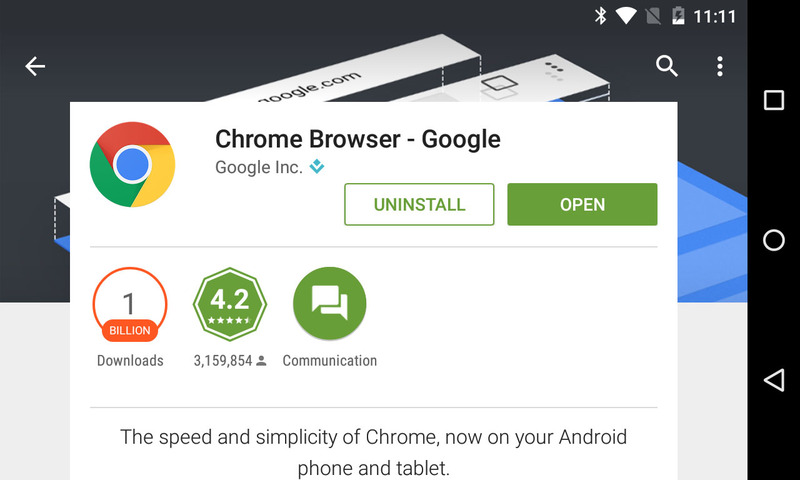 While induction into this elite group hasn't been quite as impressive since membership hit the double digits, Chrome is among the first of Google's apps that doesn't owe all of its success to pre-installs. 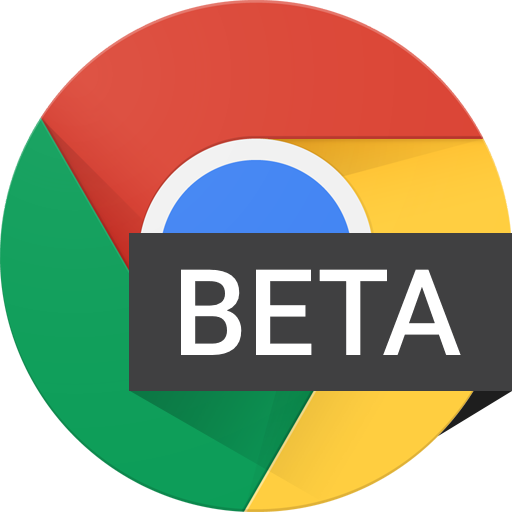 The first beta release of Chrome came in early 2012 and only supported Android 4.0 Ice Cream Sandwich. At this time, ICS was still new and only a handful of devices were shipping with it. 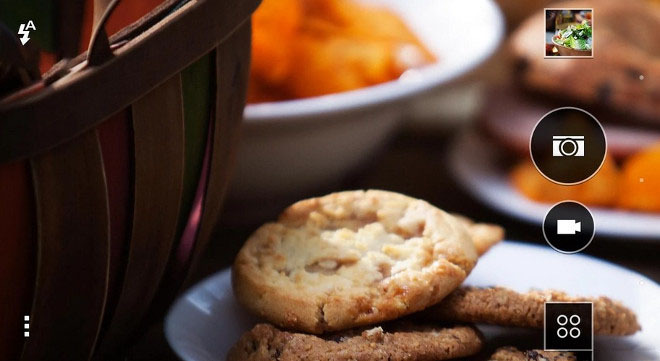 There were still brand new phones launching with Gingerbread. 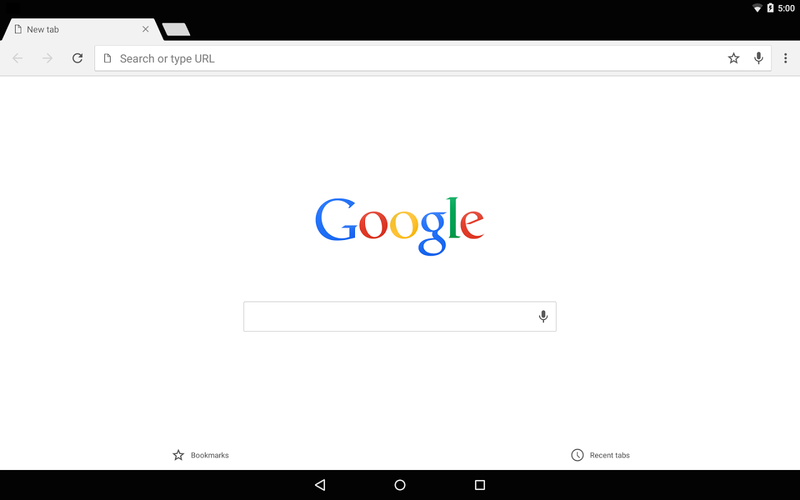 It wasn't until several months later that Chrome would come pre-installed for the first time on the original Nexus 7 running Android 4.1 Jelly Bean. Most manufacturers continued to stick exclusively to their own "stock" browsers until 2013, when many of them started to include both two browsers. 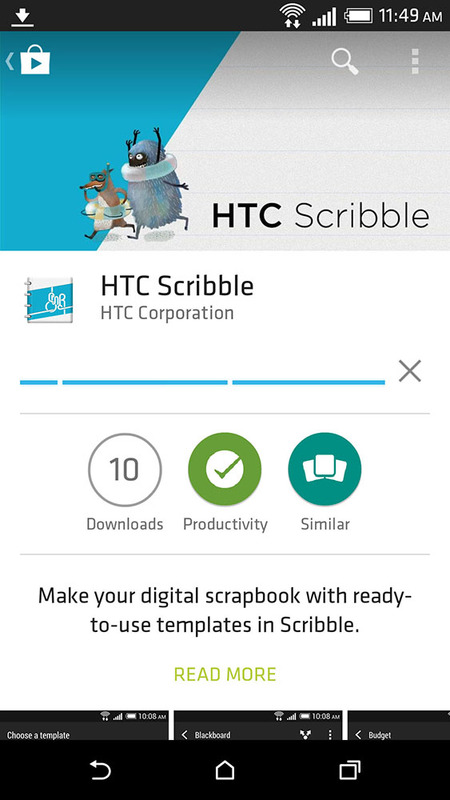 HTC Scribble is Now Available in the Play Store. HTC Scribble is one of those little add-on features in Sense that doesn't get much press... on account of it not being very useful. 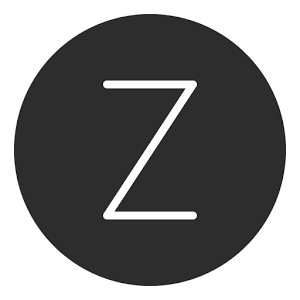 Scribble is basically a digital scrapbooking app made to highlight some other features of Sense, like Zoe and some rudimentary stylus support. 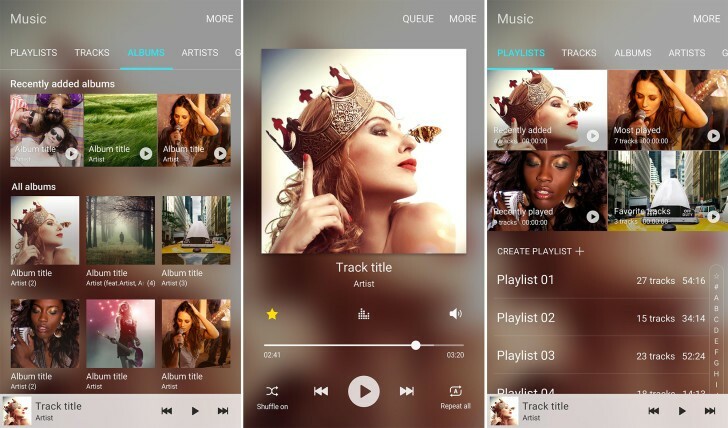 The app was introduced on the plus-sized HTC One Max, but may be available for other One devices. HTC bills Scribble as a super-flexible way to do everything from making a digital collage to keeping track of a budget, but aside from a few neat extras like the ability to take a photo inside the app itself, it's probably more unwieldy than dedicated apps. 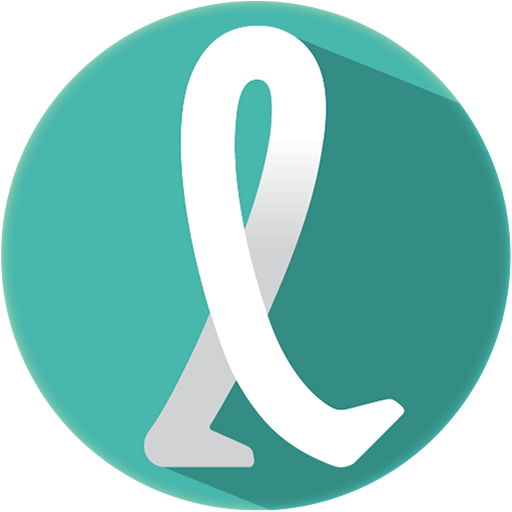 Text, audio recordings, and a variety of stickers can be inserted into a Scribble project, and at least some of the text can be dynamic, including basic column support. HTC introduced the fitness and health focused app "Fun Fit" alongside its flagship smartphone One M9. 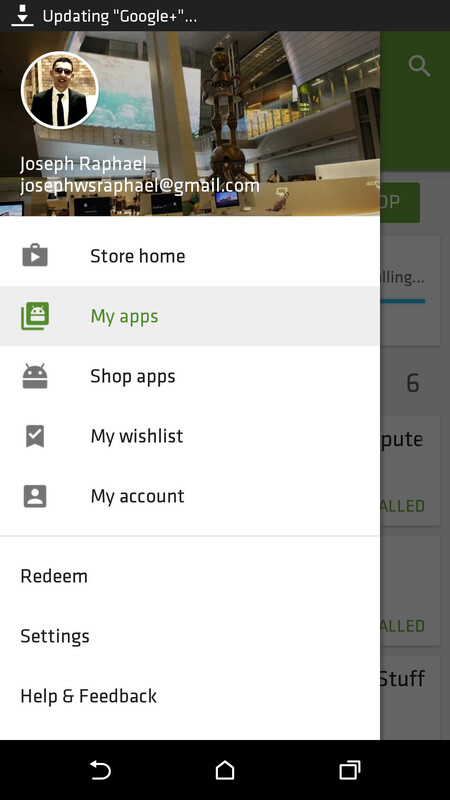 Loaded with several helpful features, the application is now available for free from the Google Play store. HTC has tailored the Fun Fit with a Sense-like fee, coupled with basic features for health and fitness tracking. 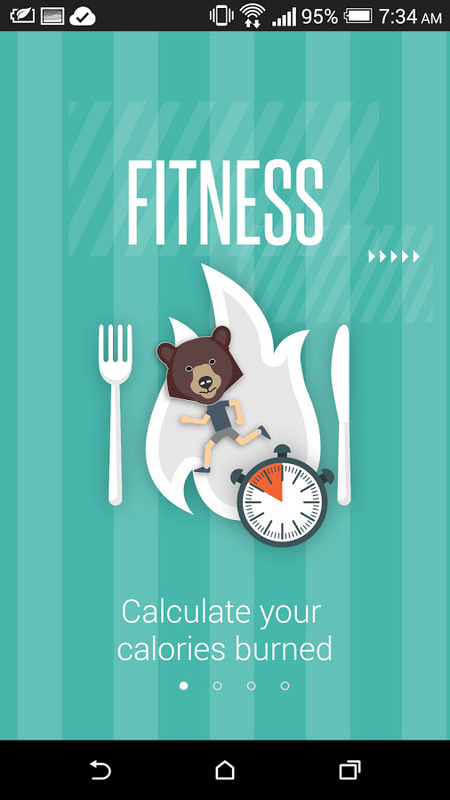 For instance, the app will offer data related to steps taken, calories burned, time and distance. These tracked activities will be shown in the form of fancy charts for better understanding of the data. 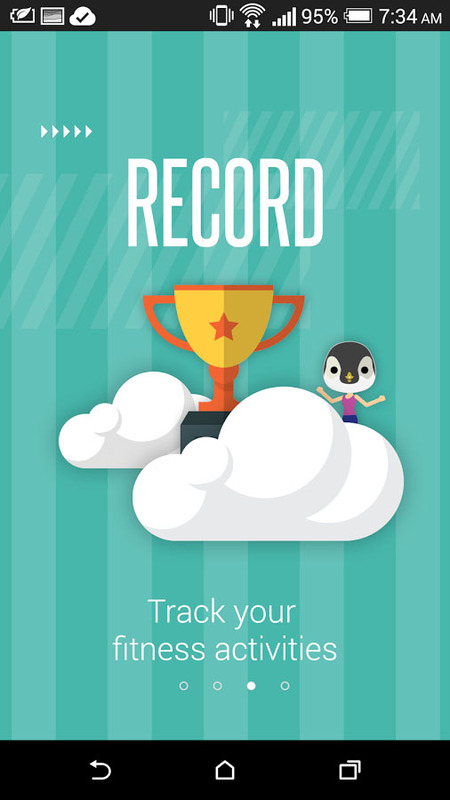 Users can also feed their measurements and set goals. And of course, Facebook integration allows sharing the data with friends and contacts over the social network. 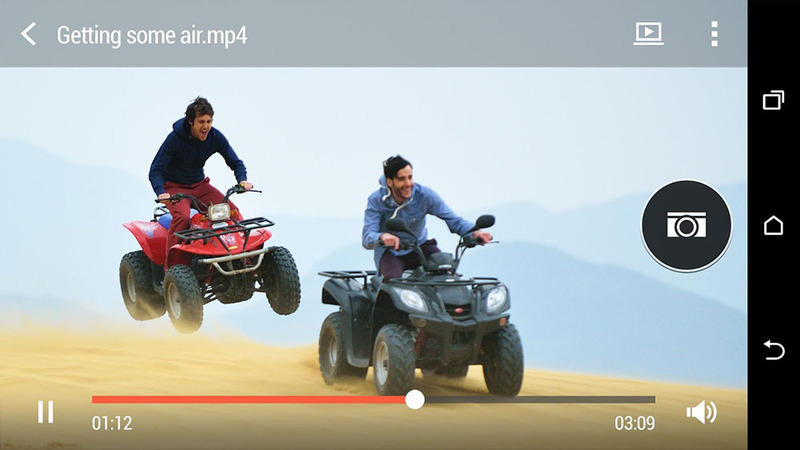 Samsung has recently released an application on the Play Store named Wi-Fi Transfer. 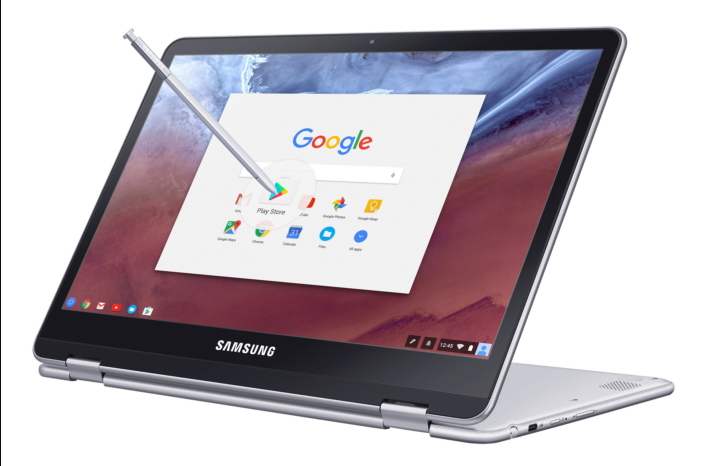 As far as functionality is concerned, the name itself is quite self-explanatory as it allows users to transfer various files via Wi-Fi without utilizing an active internet connection. One of the two devices is used to setup a Wi-Fi tethering connection, while the other one connects to the first device through the temporary Wi-Fi network. The technology itself can be used to transfer files between any two smartphones running on Android. 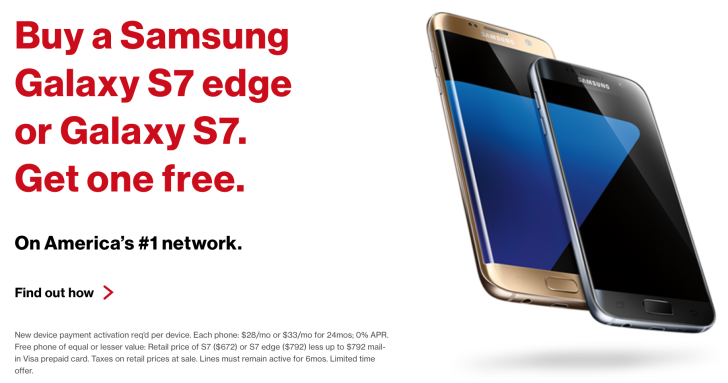 However, since Wi-Fi Transfer is an app by Samsung, the only handsets that are able to use the application right now are the ones made by Samsung. 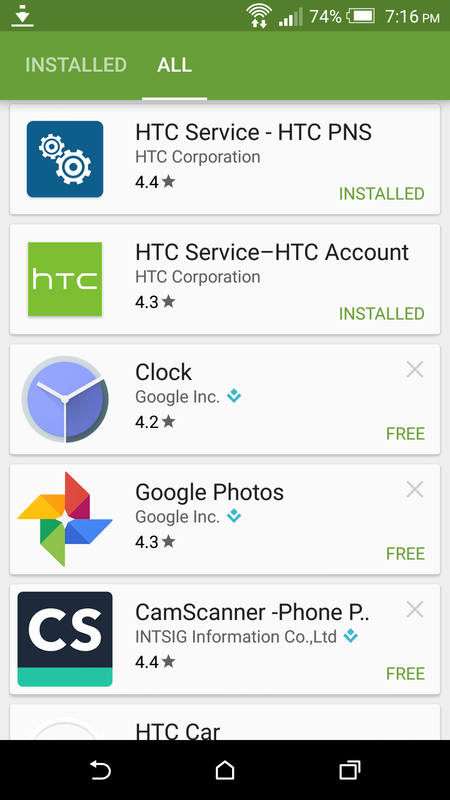 The Play Store already has a good number of apps that allow the same facilities and most of them are compatible with the majority of Android devices. We are not sure what the exact purpose of this application was, but Samsung certainly seems to think that it was needed. The list of compatible smartphones even in the roster of Samsung is unfortunately on the lower side and several bugs have been reported. As it is a newly released application, we are sure that things will get better with each update. 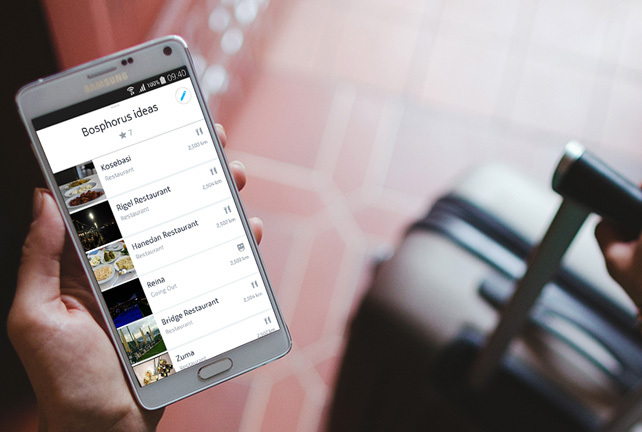 Find out everything you need to know about Samsung Unpack with the Samsung UNPACKED 2017 app. If you're an invited guest, you can also use the app to gain quick access with your e-ticket. 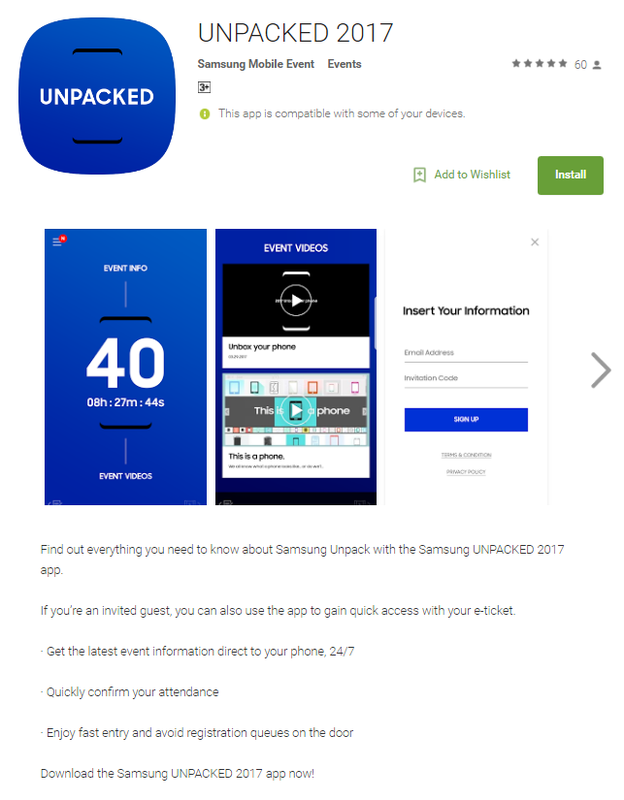 Download the Samsung UNPACKED 2017 app now! However, once you open the app and try to sign up, an error message will pop up, informing you that the registrations will open on Wednesday March 22; which is exactly a week from now. As you have probably guessed by now, the event mentioned is the March 29 Unpacking event which will reveal the Galaxy S8 officially to the world. In the meanwhile, if you want to know all that has been leaked about the S8 and S8+ so far, click here and here. Google released a standalone Slides application for Apple iOS devices. 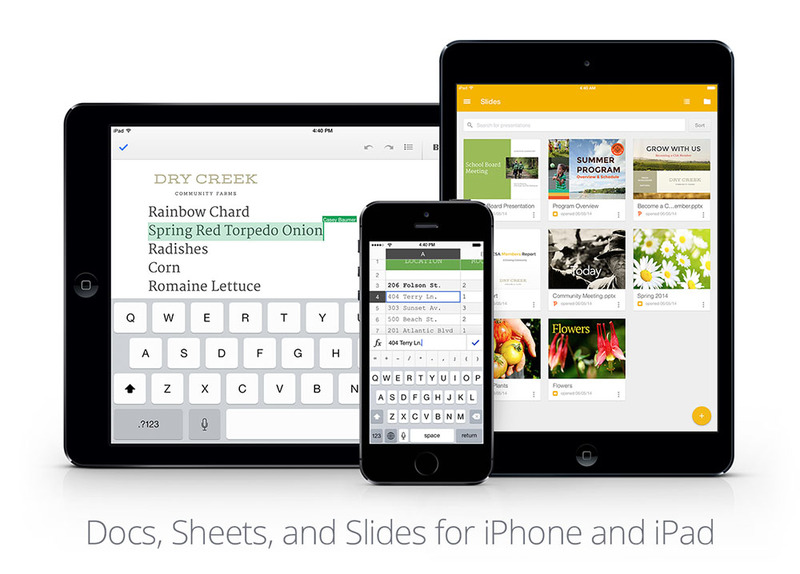 Google Slides joined its already available Docs and Sheets relatives in the App Store. As expected, Google Slides for iOS allows you to sync your spreadsheets with Android devices, as well as laptop or desktop computers. All you need is your Google ID. Offline editing is available too. Your work progress will be saved to the cloud once you go back online. You can also edit and update already Microsoft PowerPoint files. One of the first things that Google announced at its big event today is that Android just keeps on growing. Google CEO Sundar Pichai said on stage that at the moment, there are more than 1.4 billion active Android devices in the world. "Active" in this context means that they've been used within the last 30 days. This number is up 40%, from 1 billion, back in June of 2014. Keep in mind that this doesn't represent the total number of Android devices that were ever sold, it's just those that are still active, or have been so in the last month. 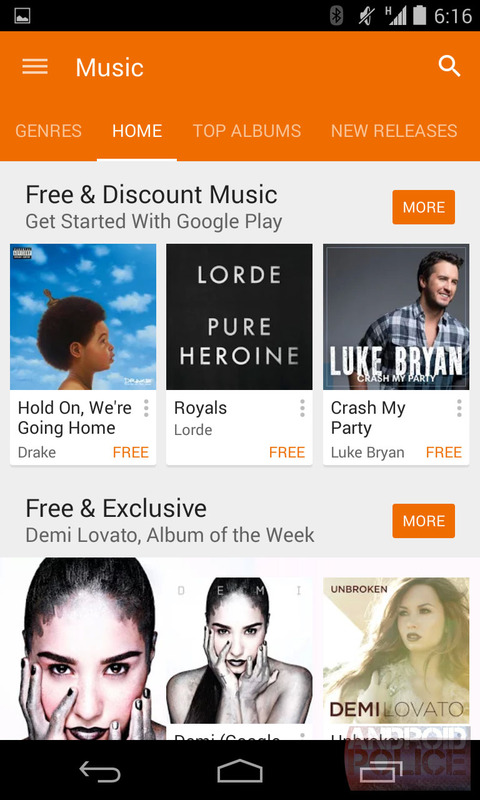 The Google Play Store is now being used on more than 1 billion devices. Again, this means 1 billion phones and tablets have used Google's content store in the last 30 days. So it appears that the Play Store either isn't installed or simply isn't used on a staggering 400 million devices out there. Google Play Store app has just been officially updated to version 5.10.30 with various bug fixes and new features and Full Android 6.0 Marshmallow support. This new version also brings a New re-designed UI changes and a new survey to handle the refund requests made from users who purchased an App and decided to cancel their order and get a full refund (during the first 24 hours). This new version shows the application's overall star rating below it's name (1.0 to 5.0) in the "All" listing area and in the "Installed" listing too so you won't need to open the app to check its rating. 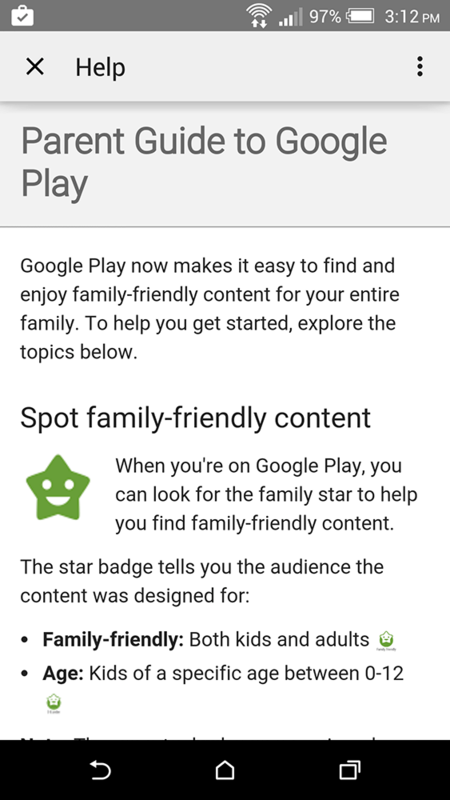 Google also added a very cool Intro to the app that shows you a couple of slides highlighting the key feature of the Play Store app. 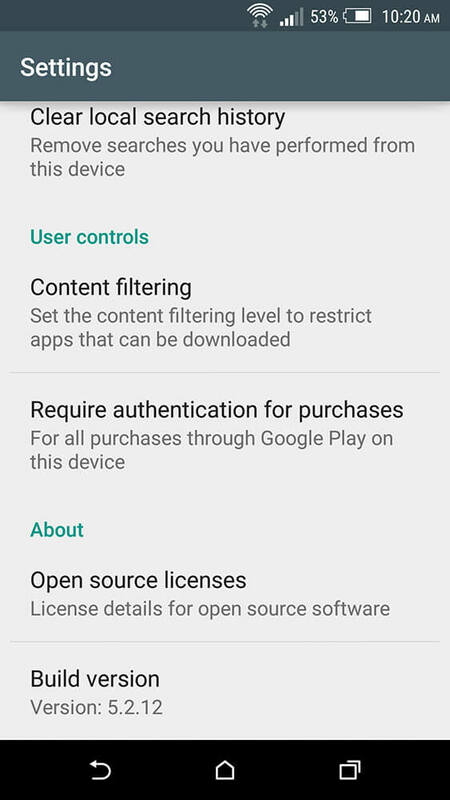 To get the Google Play Store App version 5.10.30 now without waiting, you can Download and Install the Official APK from the link Below. This APK has not been modified by any means and it's 100% safe to install. 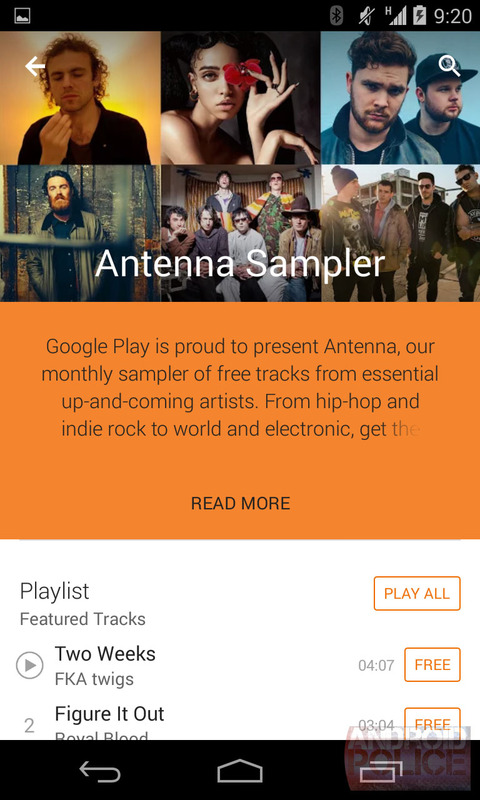 Stay tuned to be the first to get Google play v6.0! Angry Birds games have a long history. The original was a huge hit, but each successive attempt felt less interesting. 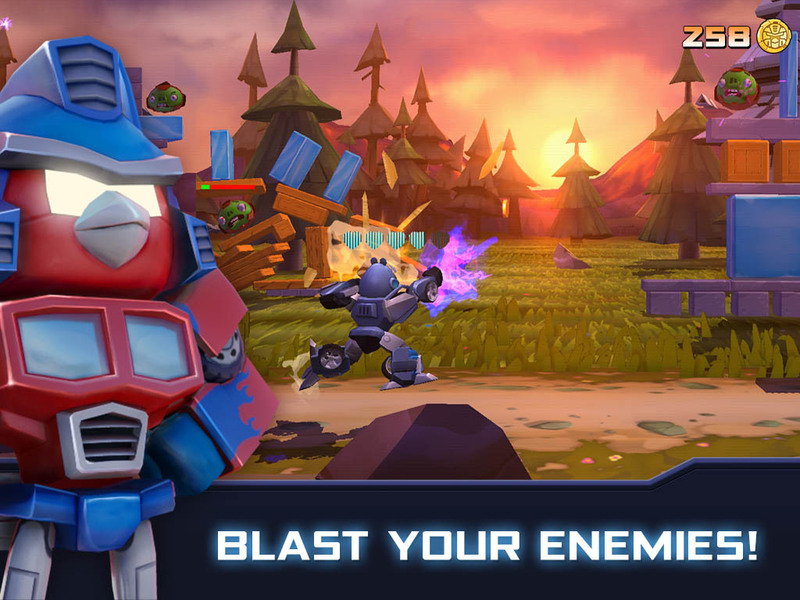 Today, Rovio has just released the Angry birds Transformers game on the Play Store for FREE. The game is unexpectedly very entertaining. 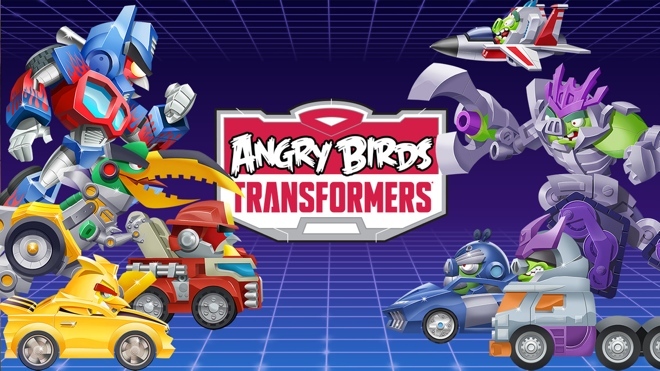 In this title, the birds and pigs have been transformed into Autobots and Decepticons, respectively. In each level your chosen Transformer runs through the level while you tap on objects in the background for him or her to blast. The goal is to take out all the pigs by knocking over the towers, just like in traditional Angry Birds, but you've only got a limited time to peck away at the supports with lasers as you run past. The transforming aspect comes into play when you need to speed up to avoid being smashed by something. 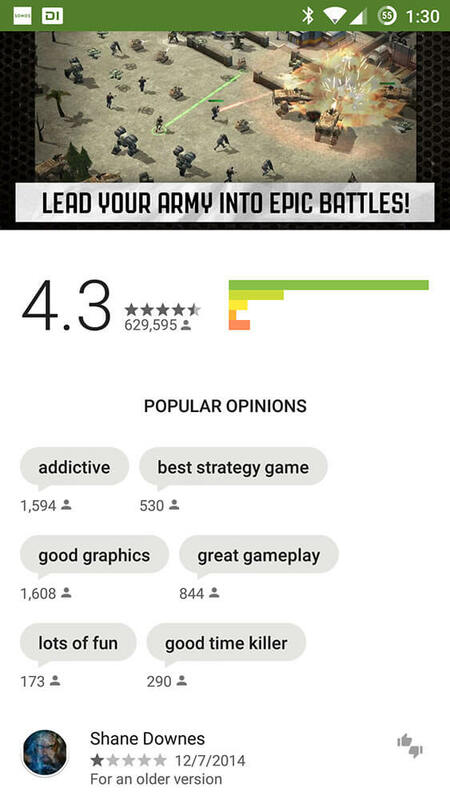 Download the game now from the Google Play store link below. 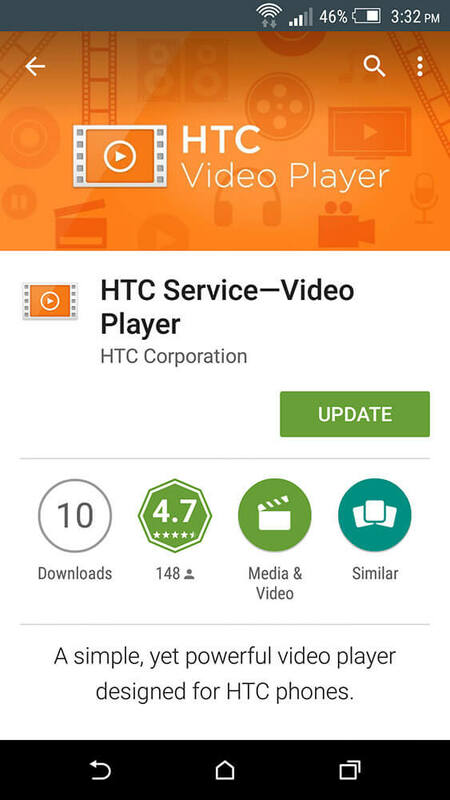 HTC has published yet another of its built-in apps on the Google Play Store. 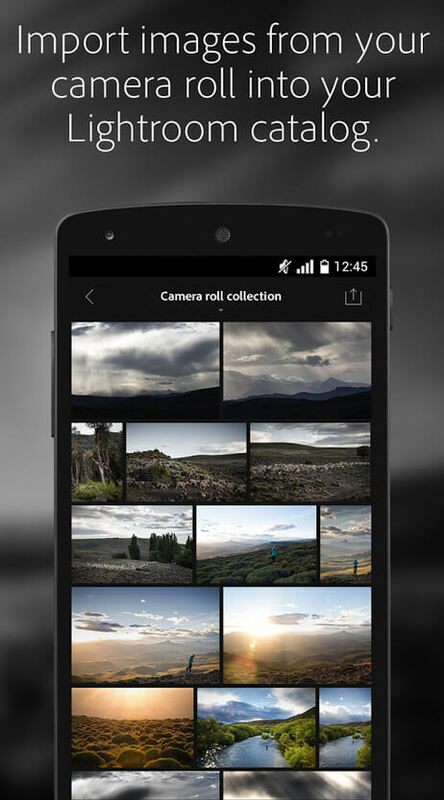 This time we're talking about HTC Camera, which joins many other apps, including the Sense 6 lock screen, the Sense BlinkFeed launcher, as well as HTC Weather. 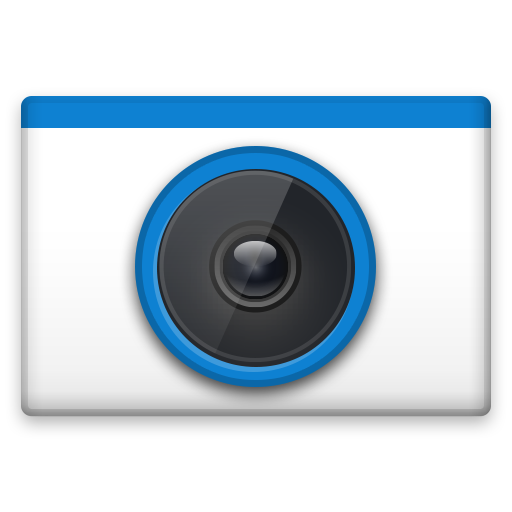 HTC Camera is the built-in camera app for recent smartphones made by the Taiwanese company, and it features the Eye experience for select devices. As with all the other apps which HTC has published on the Play Store in the past, you can't install this if you don't have a compatible handset made by HTC. The point of these moves isn't to make HTC's built-in apps for Android available for other devices, but to ensure it can update them in a timely fashion when needed. 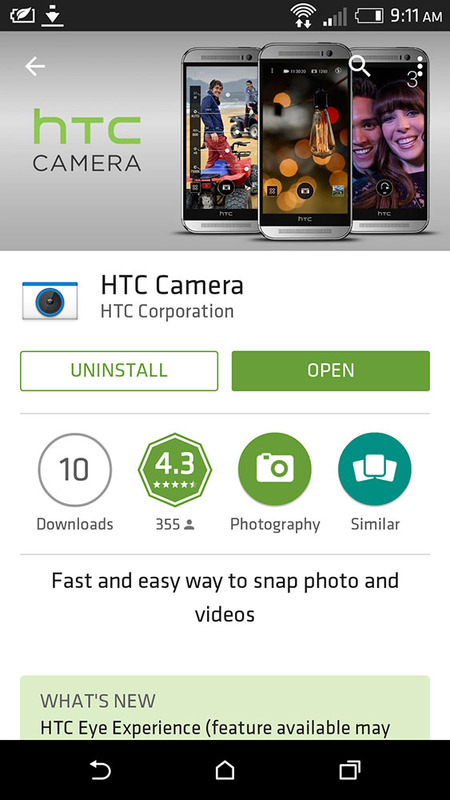 This way, you'll get new versions of HTC Camera, for example, without having to wait for the next software update for your phone. 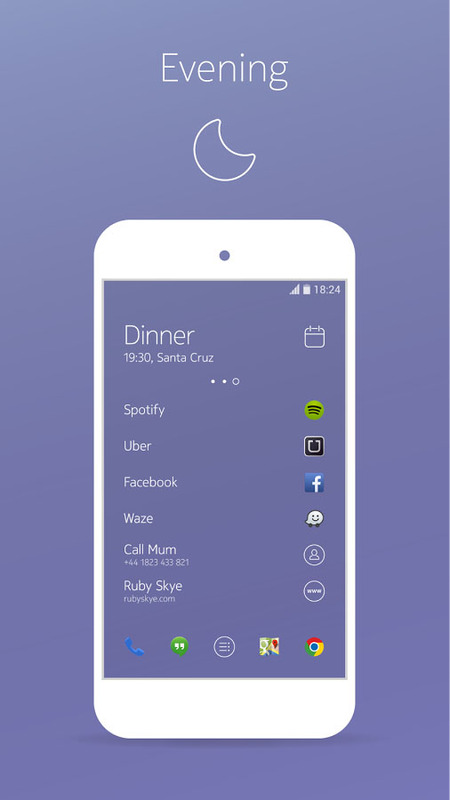 Nokia has just announced its first lollipop tablet, Nokia N1, with its own UI on top called the Nokia Z Launcher. 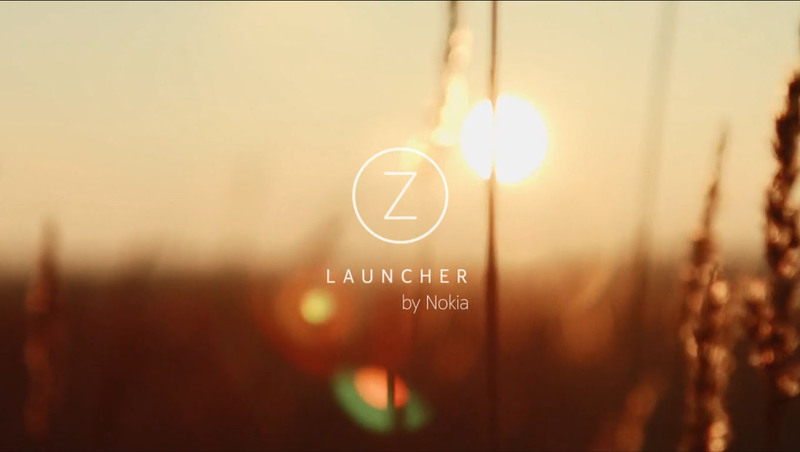 Well, lucky enough, the Nokia Z Launcher is now Available on the Play Store starting from today. 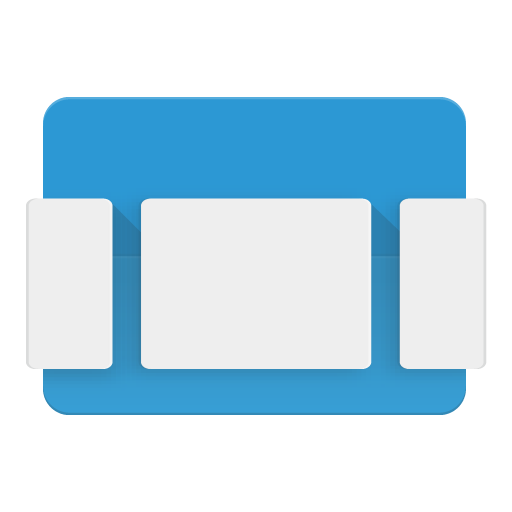 The Z Launcher on the Lollipop-running Nokia N1 tablet is an exclusive version, but a generic version can be had from the Play Store for a small taste of the experience engineered by Nokia. 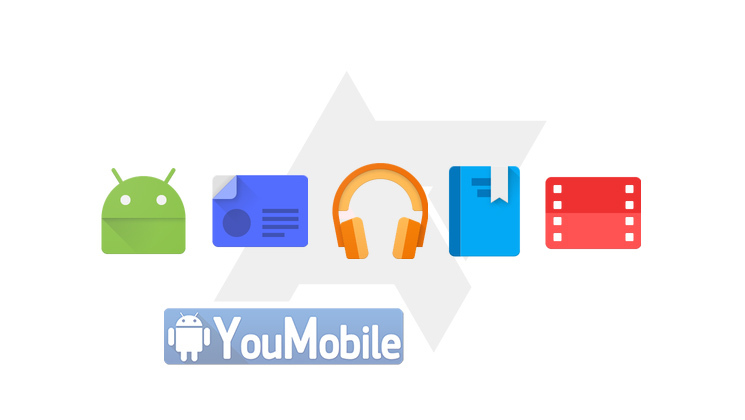 The Android TV Launcher is Now Available for Download on Google Play. 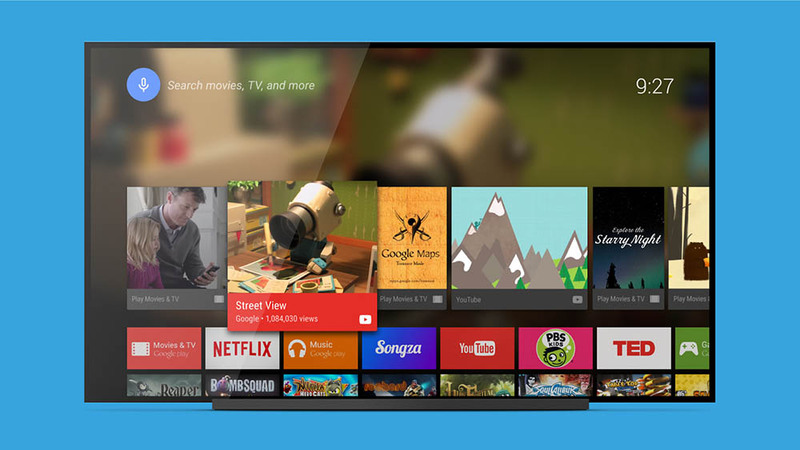 Google has decided to make it a standalone app from Android TV, similarly to the Google Experience Launcher. 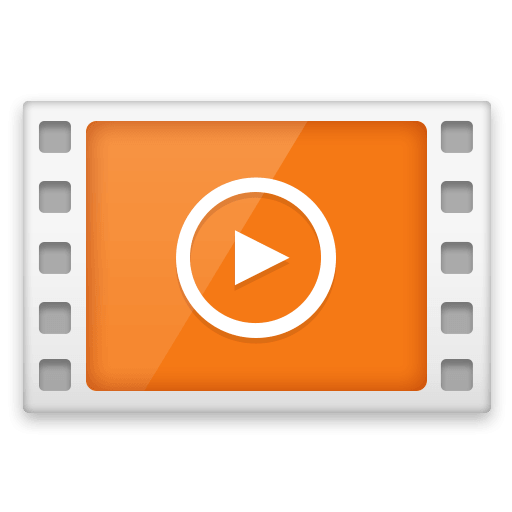 The launcher gives you access to your media like movies, songs and Android TV apps like Netflix, TED and YouTube. To install it, you'll need an Android TV device, like the Nexus Player and ADT-1. This is great news, since Google will be able to push updates faster to the launcher without having to update the whole Android TV platform. You can check out the source link below to see its progress. 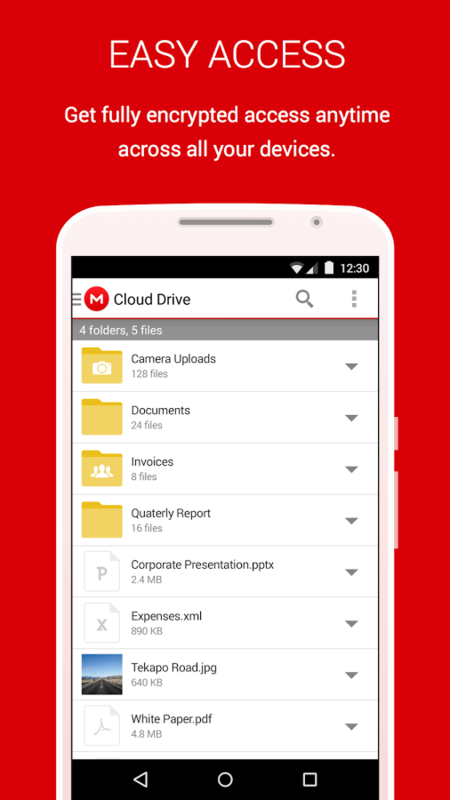 MEGA, the cloud storage service, has just released a major update to its App. 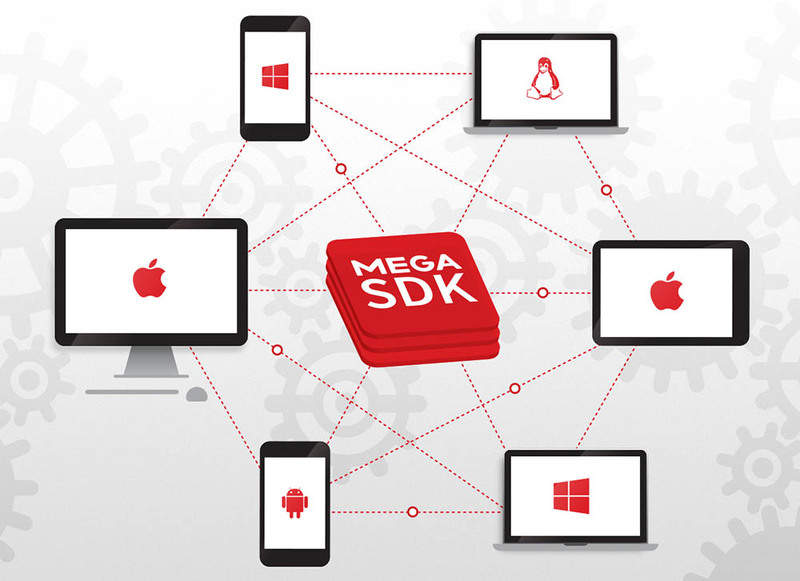 MEGA 2.0 BETA is Now Available on the Play Store with an Improved User Interface and Many new features as a Christmas gift for all its Android users. The App is now much faster and more secure than before. Mega.co.nz is very strict on user's privacy and protection, it's cloud storage service is one of the most secured sharing platform online with a super Download/Upload speed to all users. 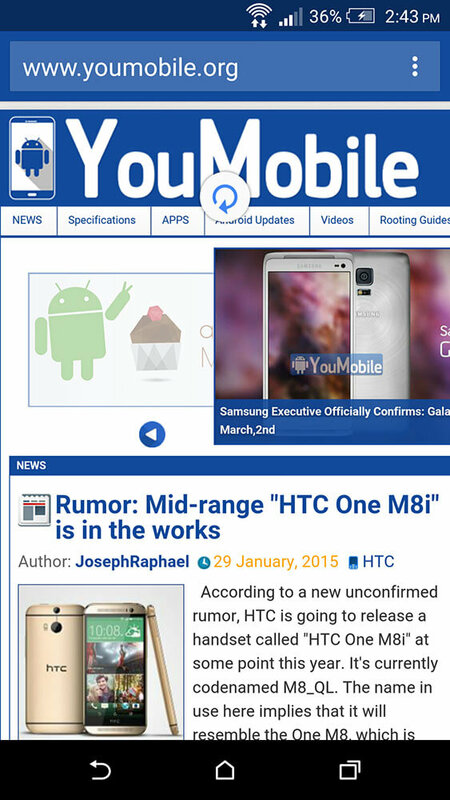 It's Android App needed a lot of improvements and MEGA 2.0 BETA is the answer. 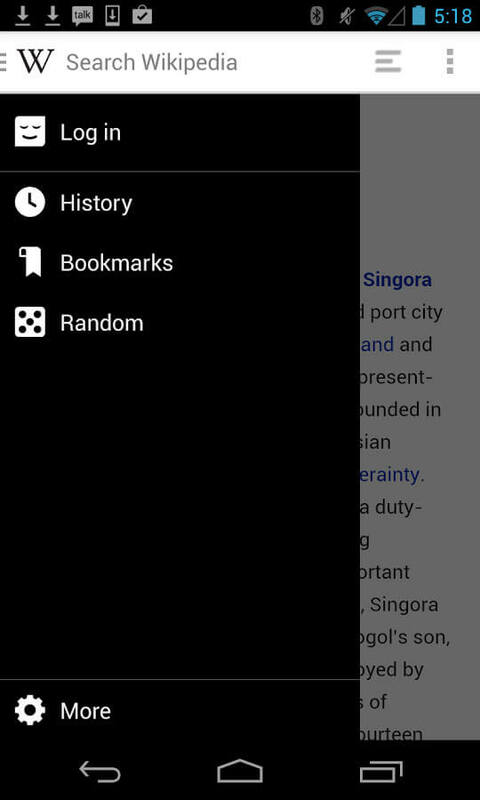 Wikipedia App for Android is very old and outdated, that's why Wikipedia foundation just launched it's New "Wikipedia Beta" App on the Play Store. 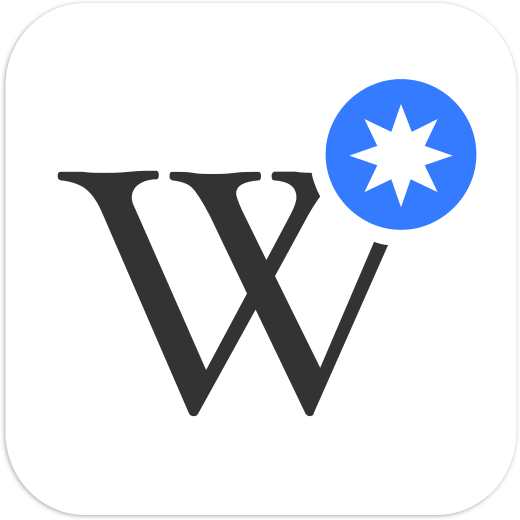 New features and an updated User Interface is the main key features for this Beta App, Wikipedia took a step further to improve the user experience of it's App. Google has finally released the Android Auto app on the Play Store, This app will let you use Android Auto in your car. The head units with Android Auto started shipping in the US a while ago but couldn't be used because there was no app on the phone to interface with them, but that shouldn't be a problem anymore. 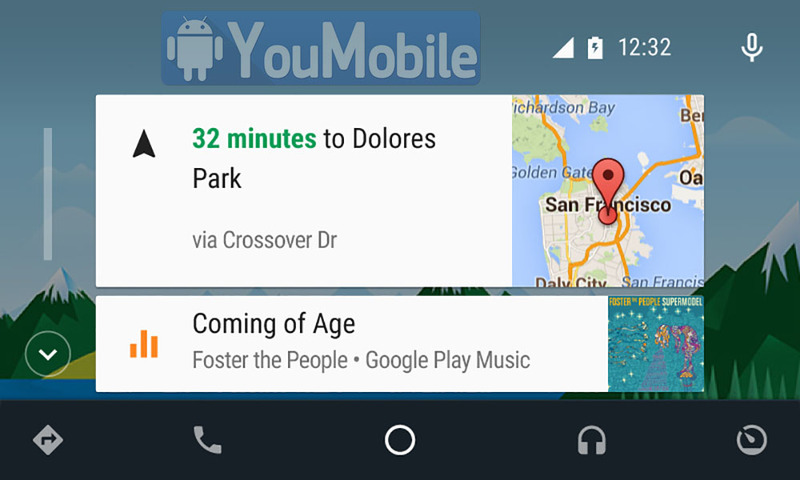 Android Auto is Google's take on integrating smartphone functionality into your car's entertainment system. It allows you to not just make and receive calls, which you can already even with some of the basic head units, but also voice to set reminders, use navigation, play music, listen to messages. and a lot more. 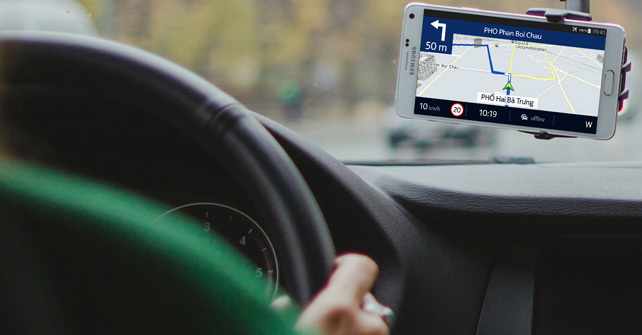 Apple has something similar for iOS devices in the form of CarPlay. Google Play Store App has just been officially updated to version 5.8.8 with various bug fixes and some minor UI changes. The new update added some New menu-scrolling effect section animation. What's New on this update? Well, Now when moving between browsing and detail pages the hamburger icon will morph into the arrow button (GIF below). This is an animation that has been used around the UI for a while, but it's obscured by the navigation drawer in most places. When the hamburger icon isn't showing because you've scrolled down, the back arrow will fade in. 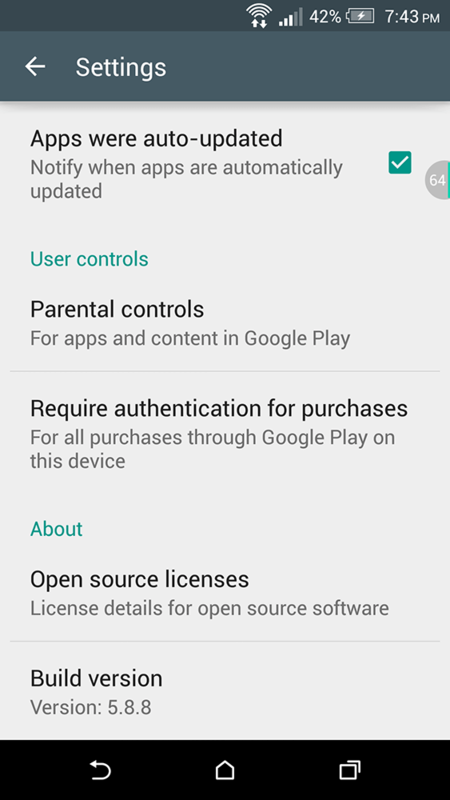 To get the Google Play Store App version 5.8.8 now without waiting, you can Download and Install the Official APK from the link Below. This APK has not been modified by any means and it's 100% safe to install. Enjoy! 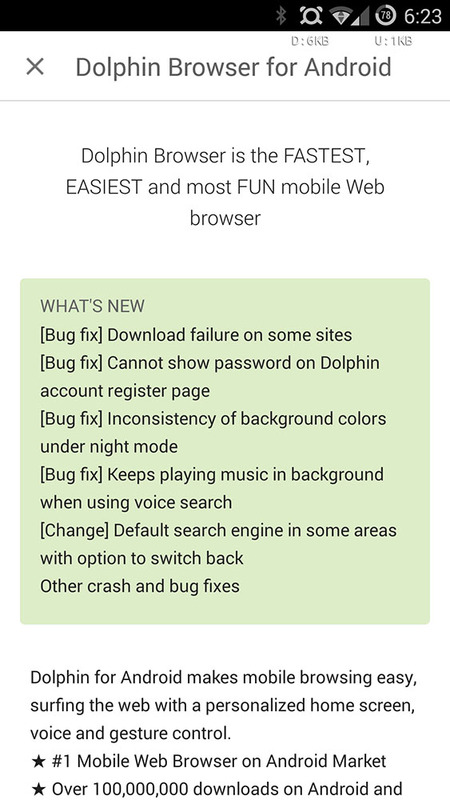 Google Play Store App has just been officially updated to version 5.8.11 with various bug fixes and some minor UI changes. The new update added some New menu-scrolling effect section animation. 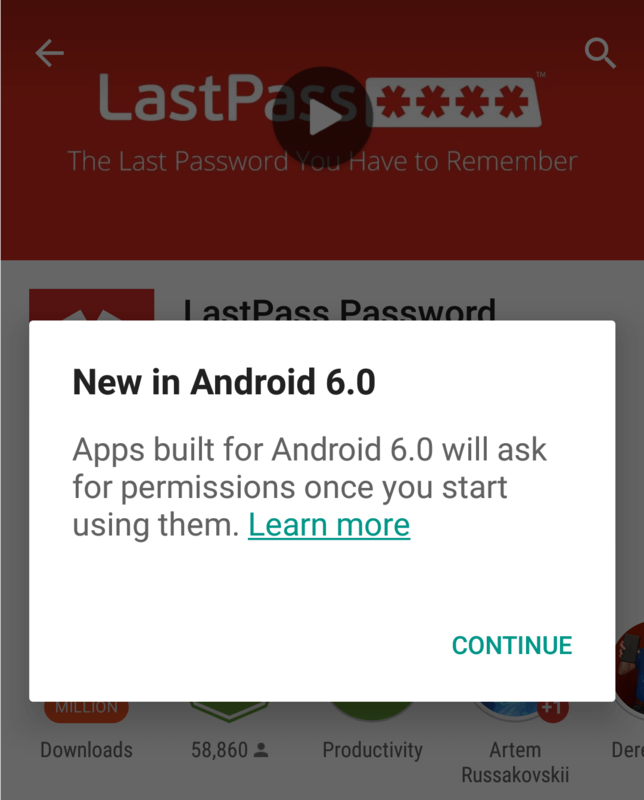 The update is pulled from the latest Android 6.0 Marshmallow Developer Preview 3 build. To get the Google Play Store App version 5.8.11 now without waiting, you can Download and Install the Official APK from the link Below. This APK has not been modified by any means and it's 100% safe to install. Enjoy! 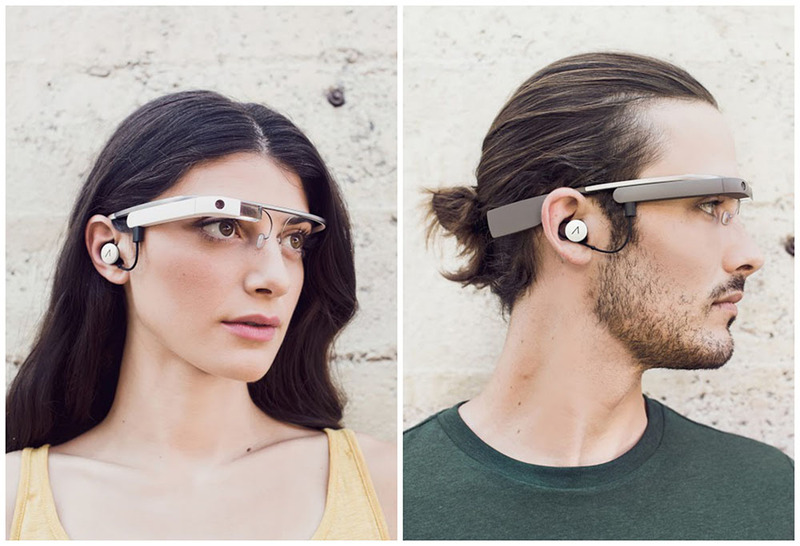 After 3 years of Beta Testing, The Google Glass Explorer Edition is Now available for purchase in the Play store in the United States by anyone (no need for Glass project invitation). Pricing of the futuristic gadget hasn't changed. You will still need to part with $1,500 in order to get your hands on it, thus meaning that it is hardly going to be a mass-market item. Of course, the familiar array of additional accessories is also available. It includes shades, prescription frames, and in-ear headphones. 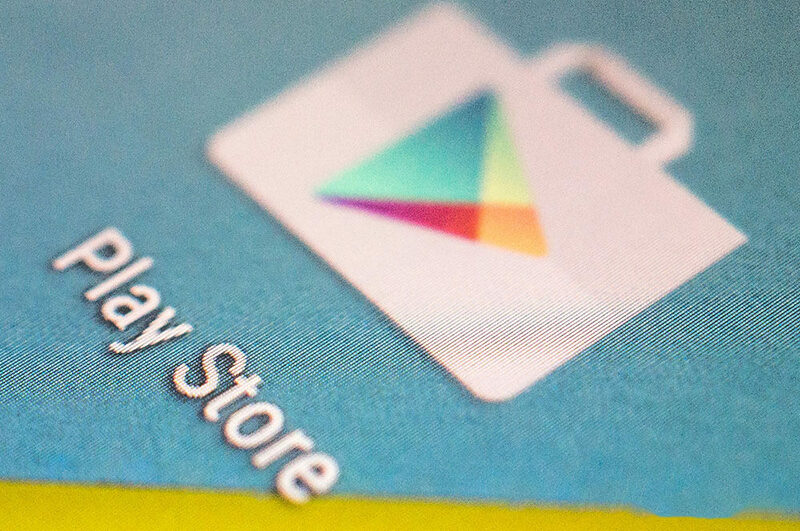 That's why Google has Officially expanded its Google Play Store refund policy to allow those who purchased an App or Game, to receive their money back within "Two Hours after purchase". 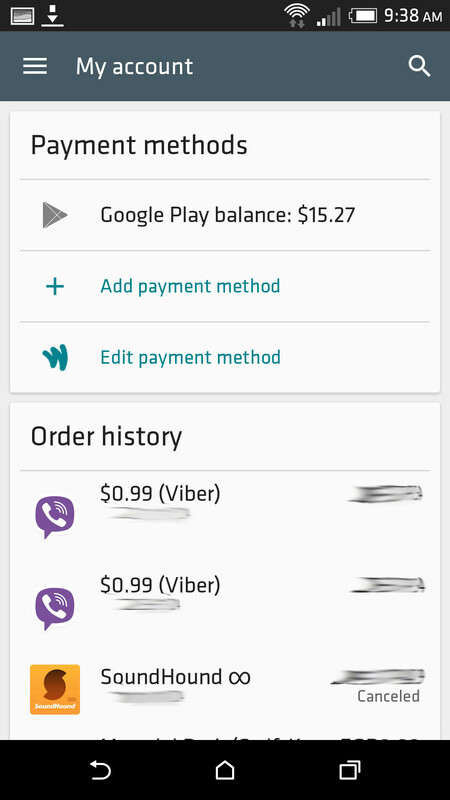 To request a refund, you open the Google Play Store and go to My Apps. 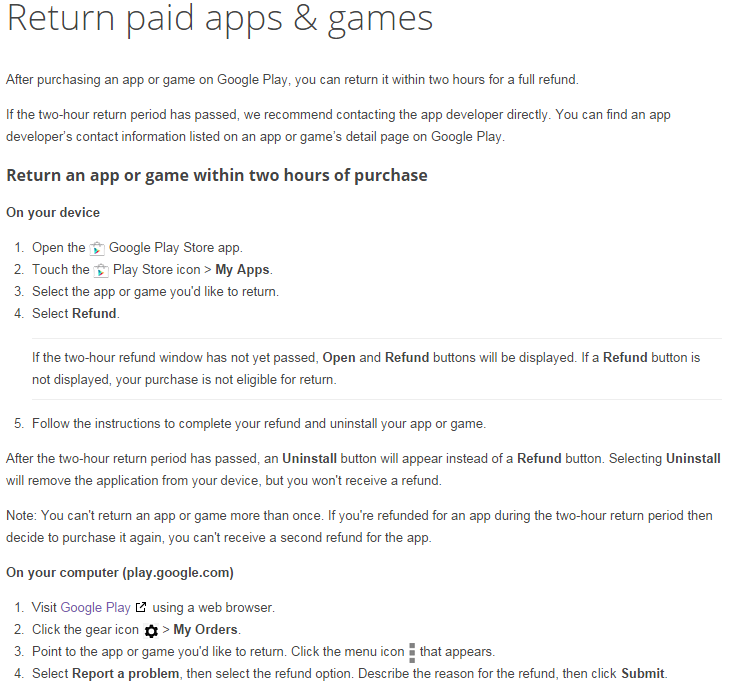 Select the game or app you wish to return, click on refund. Keep in mind that if the two hour refund window has expired, you will not see that option. If the two hour period has expired, you will be allowed to uninstall the app or game from your device, but without receiving your money back. So go ahead and buy that expensive App or Game you always wanted to try. If you don't like it, you have two hours (120 minutes or 7200 seconds) to return it for a complete refund. Remember though, that you can only receive a refund on a particular game or app one time. 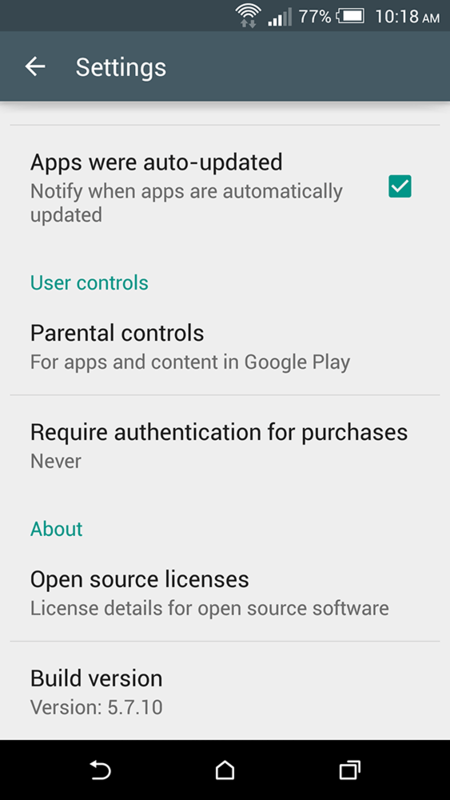 Google Play Store App has just been update to version 5.0.31 with Full Material Design UI, this update prepares the App for the Android L official launch. There is no official change-log for this update but we noticed some major changes in the UI of the App. 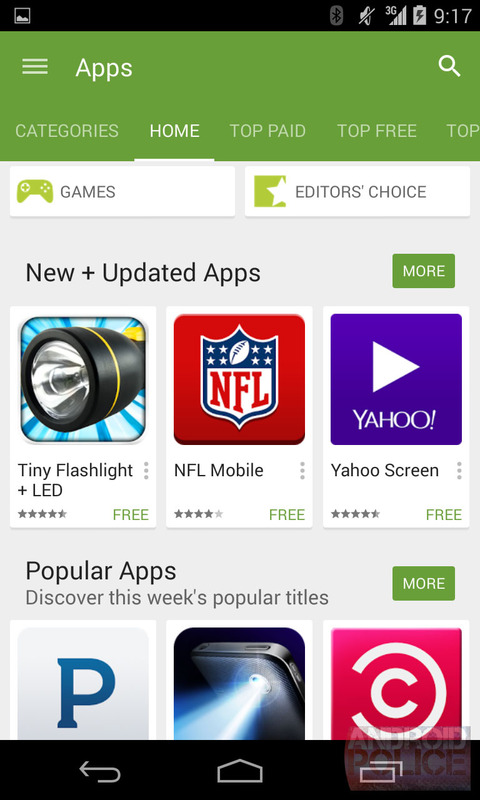 In Google Play 5.0.31, the App has adopted a New revised laucnher icon with a cleaned up icon that fits the new theme. You'll also notice new notification icons while updating or installing an App, It's more flat and clear than previous versions. The What's New section in any App is now highlighted green, and while it's still truncated after 4 lines on the main app screen. 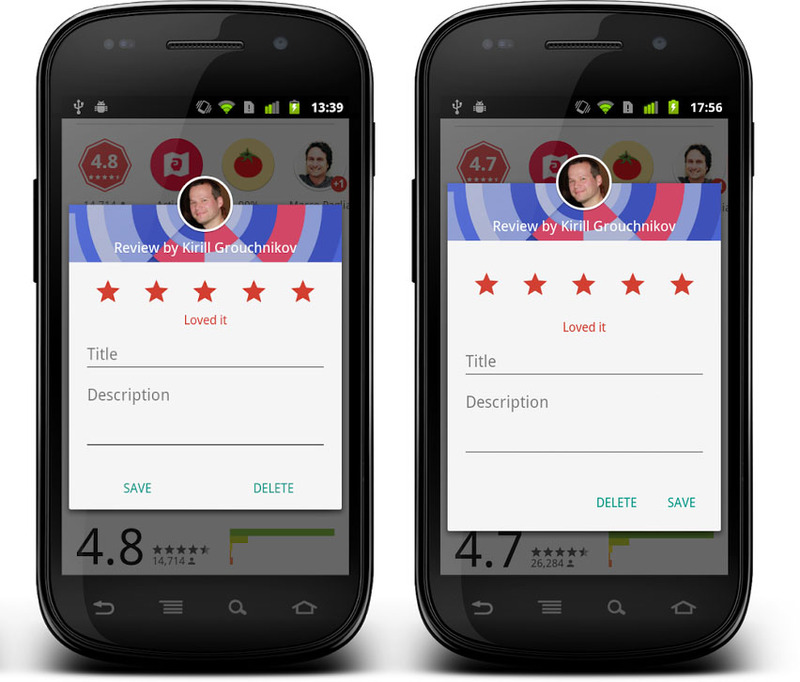 The Feature Graphic became a part of every App on the Play Store and the developer has to submit one in order to update his App. 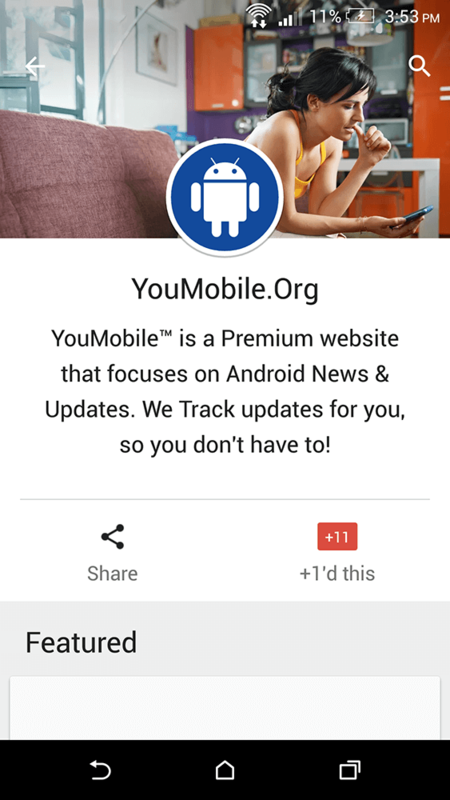 Check out our App on the Play Store. 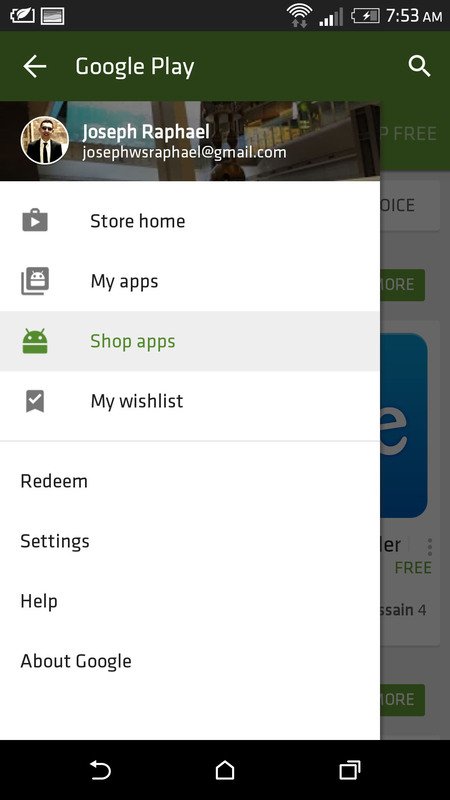 To get the Play Store App v5.0.31, you can download the Official APK from the direct link Below. This APK has not been modified by any means and it's 100% safe to install. Enjoy! Google Play Store App has just been update to version 5.0.32 with Full Material Design UI, this update prepares the App for the Android L official launch. There is no official change-log for this update but we noticed some major changes in the UI of the App. 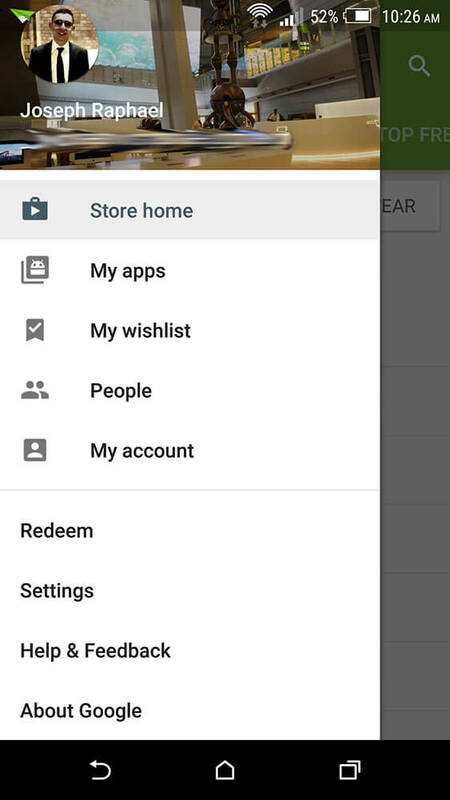 In Google Play 5.0.32, the App has adopted a New revised laucnher icon with a cleaned up icon that fits the new theme. You'll also notice new notification icons while updating or installing an App, It's more flat and clear than previous versions. 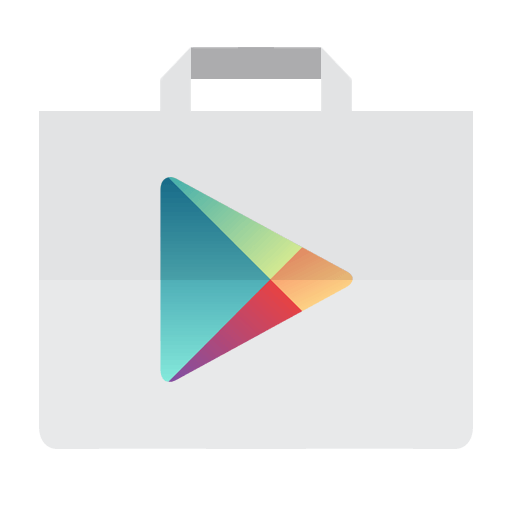 To get the Play Store App v5.0.32, you can download the Official APK from the direct link Below. This APK has not been modified by any means and it's 100% safe to install. Enjoy! 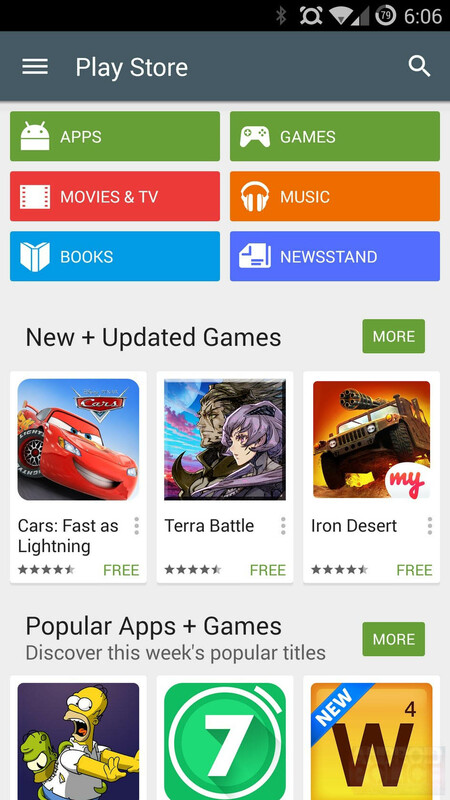 Google Play Store App has just been update to version 5.0.37 with more Material Design UI, this update prepares the App for the Android L official launch. There is no official change-log for this update but we noticed some major changes in the UI of the App. In Google Play 5.0.37, the "What's New section" has been moved to the Top, showing all the latest changes on any App's change-log on the top of the descitpiton (it was at the end in previous versions). Material Design is now covering 99% of the whole App UI. 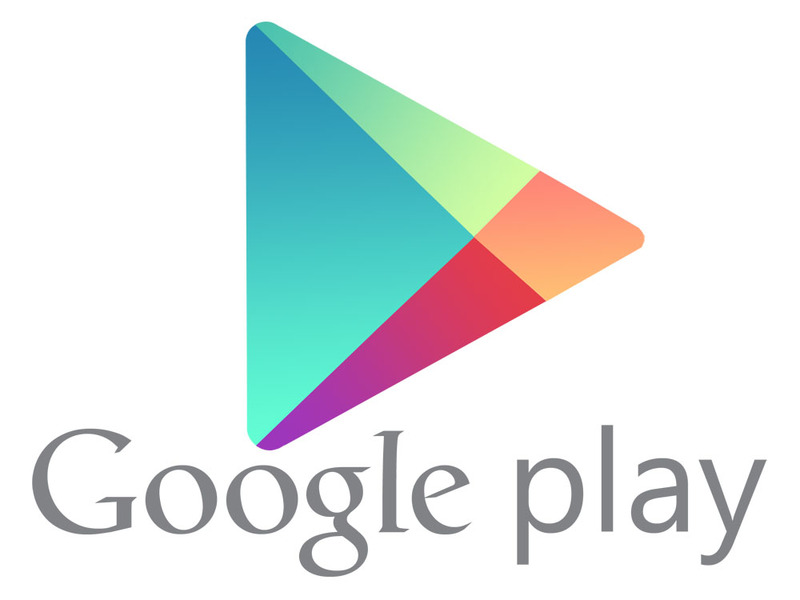 To get the Play Store App v5.0.37, you can Download the Official APK from the direct link Below. This APK has not been modified by any means and it's 100% safe to install. Enjoy! 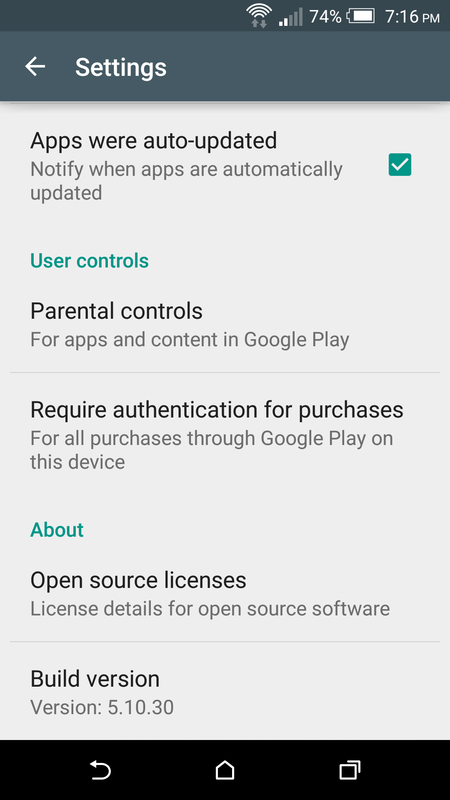 Google Play Store App has just been update to version 5.0.38 with more Material Design UI, this update prepares the App for the Android L official launch. There is no official change-log for this update but we noticed some major changes in the UI of the App. 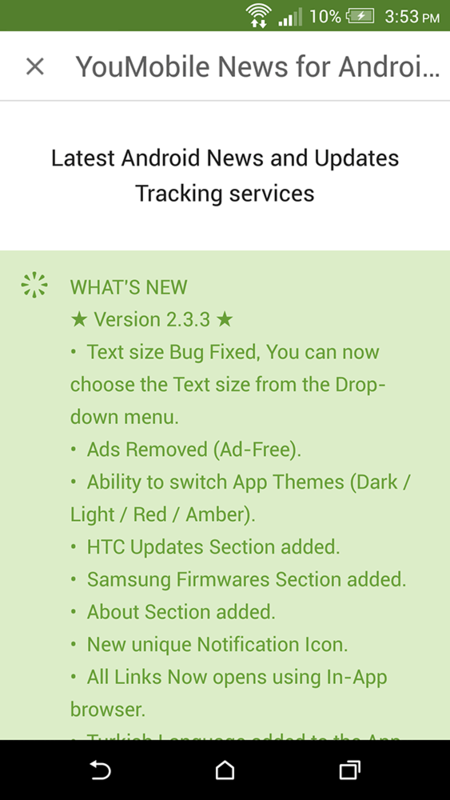 In Google Play 5.0.38, the "What's New section" has been moved to the Top, showing all the latest changes on any App's change-log on the top of the descitpiton (it was at the end in previous versions). Material Design is now covering 99% of the whole App UI. 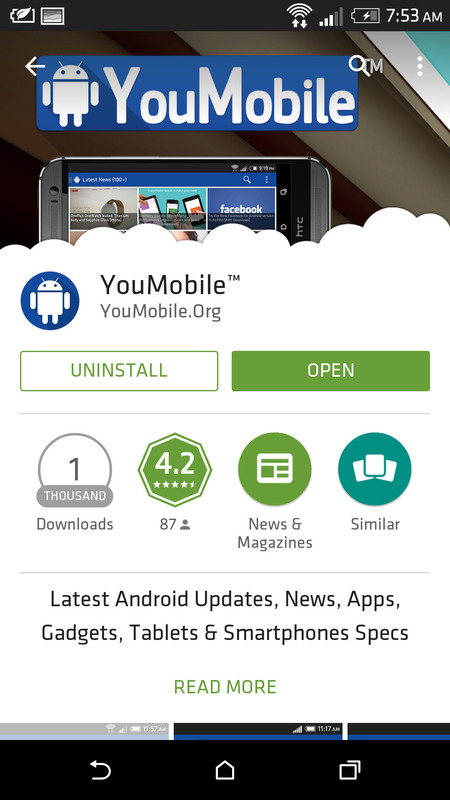 To get the Play Store App v5.0.38, you can Download the Official APK from the direct link Below. This APK has not been modified by any means and it's 100% safe to install. Enjoy! 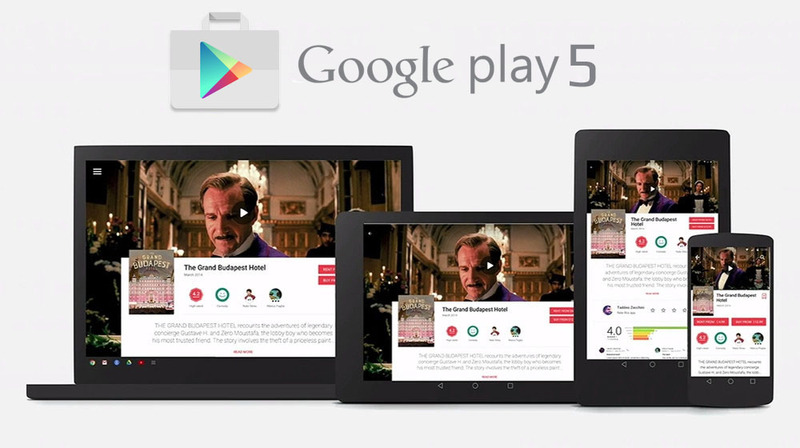 Google's updated a lot of Android apps recently, so why not Web-based Play Store. 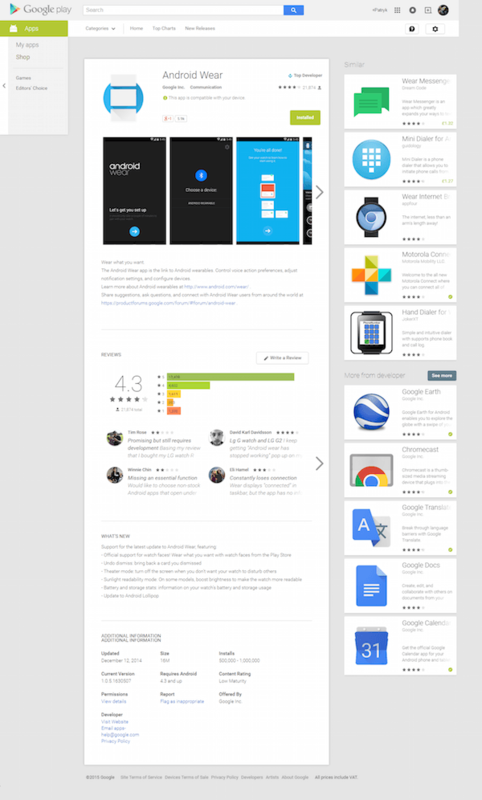 The Google Play Store Web version is receiving a slight redesign. 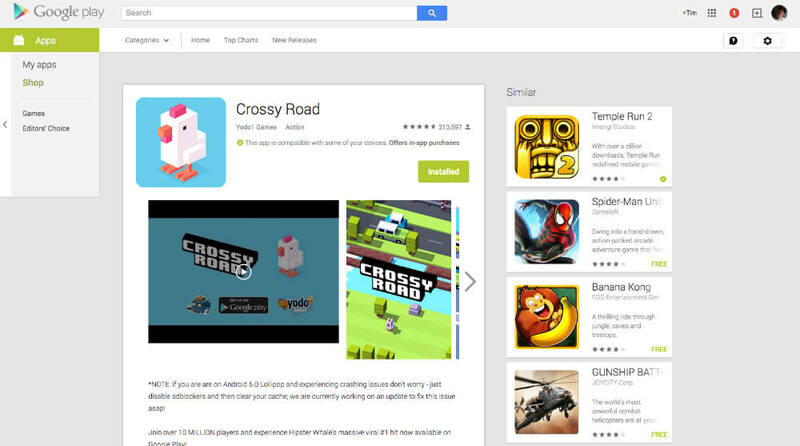 The roll-out seems to be gradual, but more and more people are reporting seeing the new Play Store on the Web. While the changes are not over the top, it reminds me quite a lot of the old YouTube look. 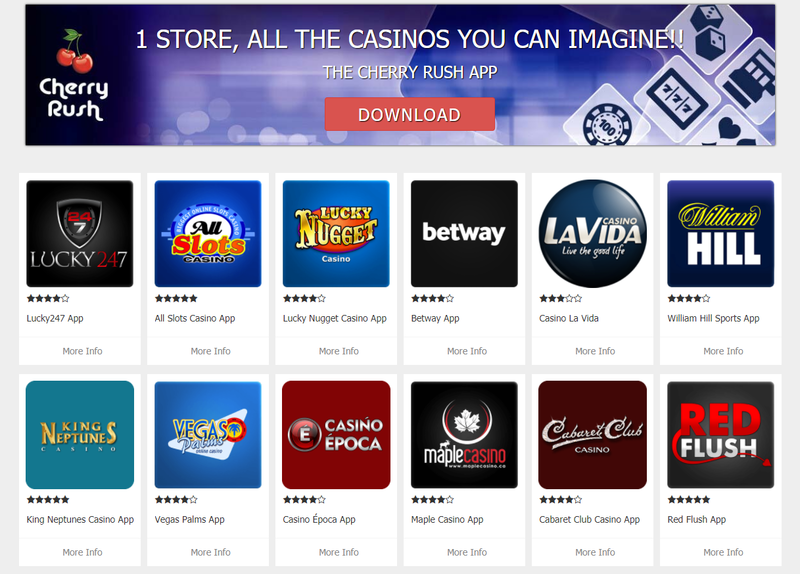 Instead of related apps being placed all the way at the bottom of the webpage, they have been moved to the right of the screen, allowing for quicker exploration throughout the store's offerings. Other than the updated look for listing pages, all navigation appears to be untouched. 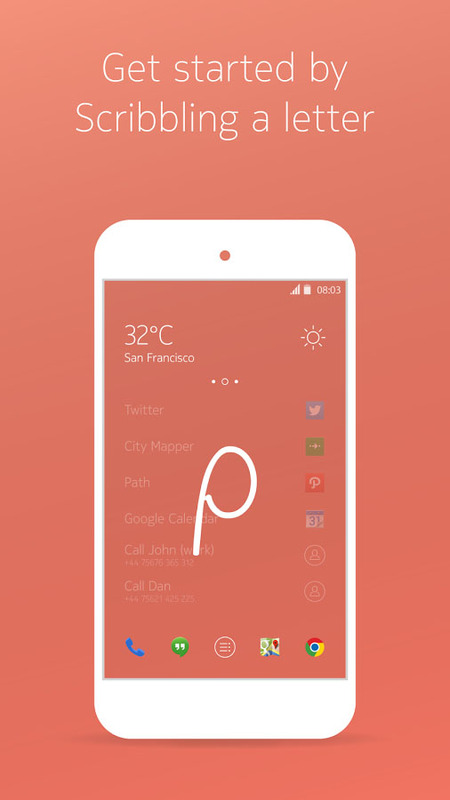 And while it does not scream Material Design, it feels rather smooth and responsive. 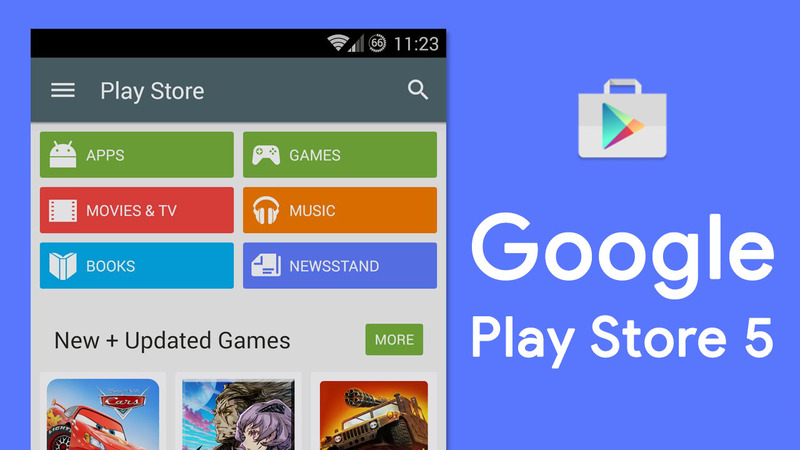 Google has just Updated its Play Store App to v5.2.13 with many under-the-hood features. 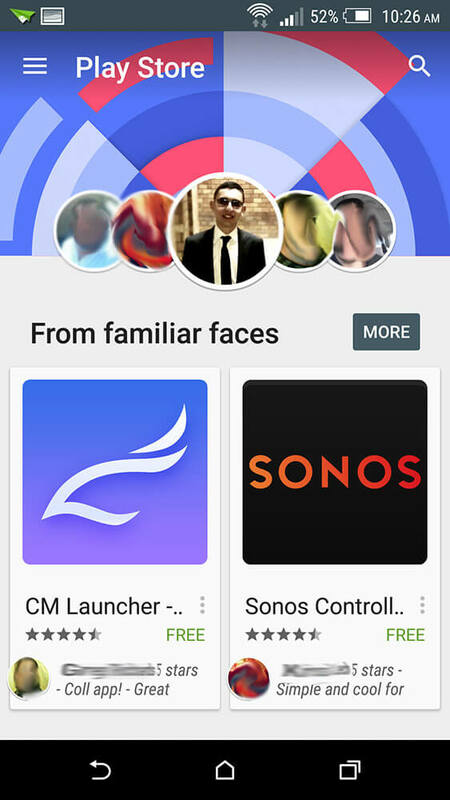 Google Play v5.2.13 has also an updated "People" page that lists you and your circle's contacts, showing you what apps your friends are using and rating. 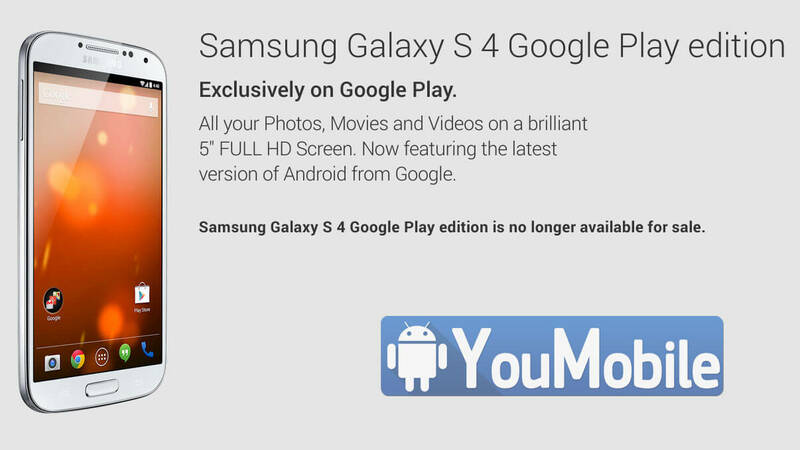 To get the google Play Store App v5.2.13, you can Download the Official APK from the direct link Below. This APK has not been modified by any means and it's 100% safe to install. Enjoy! 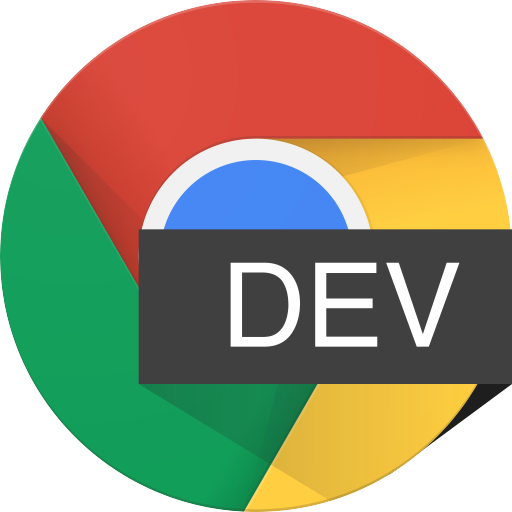 It's been a while since Google last decided to dust off the desktop web version of its Play Store repository, but from the looks of it, a new refreshment of the interface is imminent. 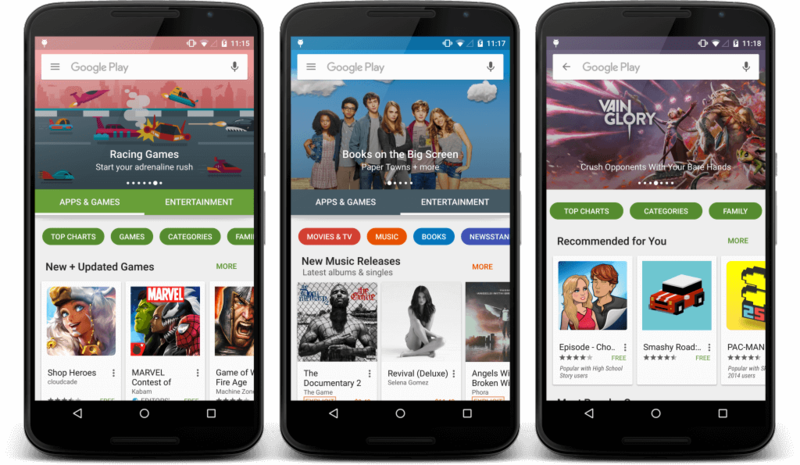 Several sources claim that Google is currently testing a new layout for the Play Store. Currently, as you most likely know, when you open the page of a given app, the Play Store suggests some similar ones all the way at the bottom of the page, which is not quite intuitive and user-friendly. Check the leaked Screenshot below. 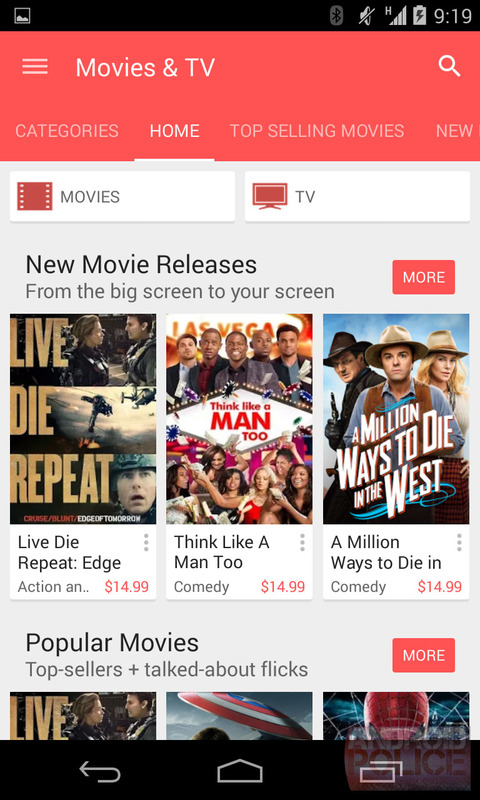 Google seems to be aware of this according to a leaked screenshot of a test layout for the Play Store, Mountain View might be poised to bring the similar app suggestions to the right side of the screen, in a dedicated sidebar. 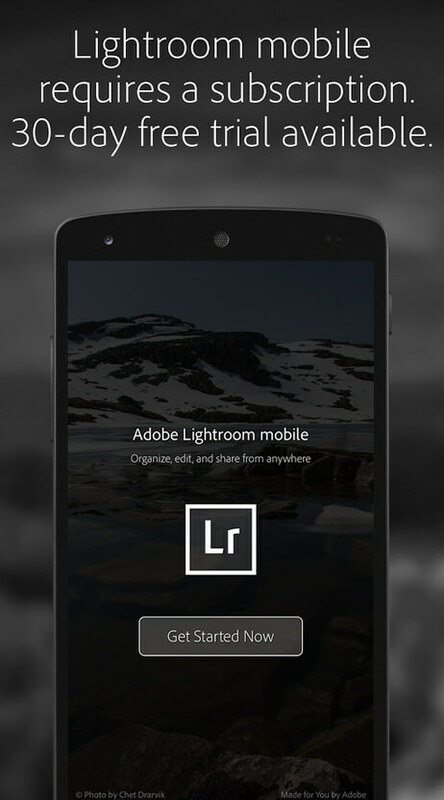 Other apps from the same developer are also being shown.